Closed on Thanksgiving, Christmas, and the trails are closed for Harvest Fair weekend. In the event of inclement weather, closings will mirror the Middletown Public School system. Check-in required at the Welcome Center before hiking on trails. NO dogs, smoking, drones, horses, bikes, kites, motorized vehicles, jogging, littering, or collecting of any kind. Groups of 8-15 are welcome to enjoy self-guided walks or birdwatching with an advanced permit. Please submit a Special Use Permit to schedule your visit. No permit is required for trail walks for groups under 8. Learn more about opportunities to rent space for meetings and small events. Groups of 8-15 are welcome with advanced reservations. Commercial photography is by permit only: The breathtaking natural beauty of the Norman Bird Sanctuary provides a gorgeous backdrop for photography. In order to continue to preserve and protect the precious habitats, NBS requires that all photographers follow the photography policy. Please submit a Photo Permit to schedule your visit. Do you know a teenage nature explorer!? Pick up a Teen Green Trail Journal at the Welcome Center and explore the trails to win fun prizes! You’ll find special markers hidden on the trails and etch them into your journal. Find 6 markers to win a water bottle, compass, and backpack. Find all 10 markers to win a water bottle, compass, backpack and a Household Membership to NBS! This program is Powered by Prince through a grant from the Frederick Henry Prince Memorial Fund at Newport Hospital. Throughout the year NBS offers special subject-based events. These events are open to the public. Please check our listings below. Guided bird walks are offered every other Sunday. Birders meet in the parking lot and depart at 8am and return 10am. Be sure to bring your binoculars! 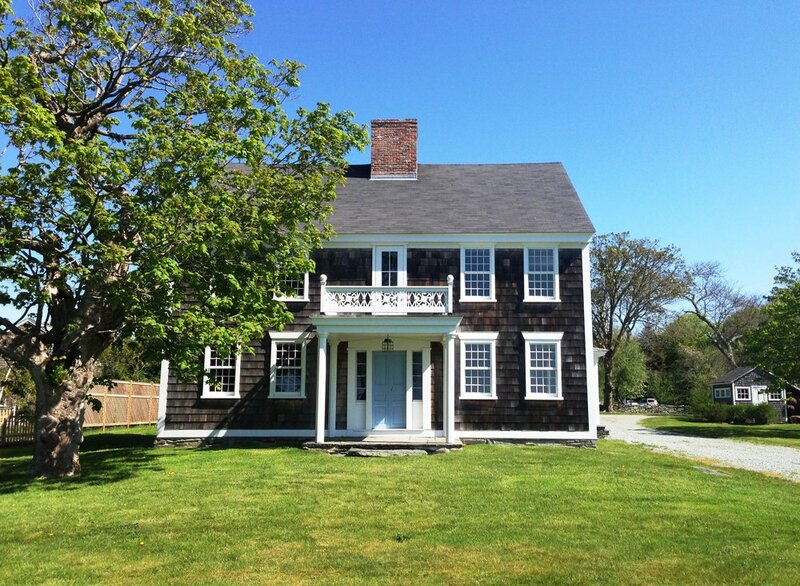 Our newly renovated 18th century Paradise Farmhouse located on campus sleeps up to 16 people! Learn more and book a stay!